We are delighted to announce the release of our first WeObserve newsletter. WeObserve is a three-year project, funded by the European Commission, under the Horizon 2020 programme. WeObserve is an H2020 Coordination and Support Action (CSA) which tackles three key challenges that Citizen Observatories (COs) face: awareness, acceptability and sustainability. The project aims to improve the coordination between existing Citizen Observatories and related regional, European and International activities. 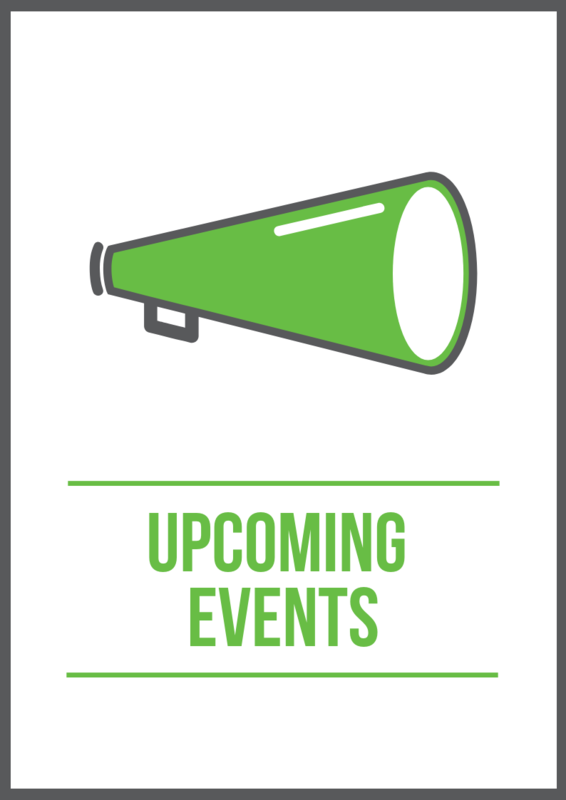 The scope of the newsletter is to provide regular updates on project progress and inform you about highlights, WeObserve and other relevant events, as well as to call you to action! It is envisioned to have four e-newsletters per year following the seasonal model. The current first issue, provides you with an insight of the WeObserve project, invites you to join our Communities of Practice, presents you the upcoming events and gives you an overview of the collaboration between WeObserve and the other citizen science projects. If you wish to find out more and you cannot wait up to the next newsletter, join us on www.weobserve.eu . 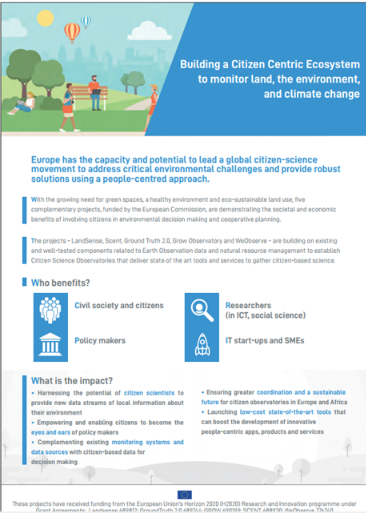 The rising trend in citizen science has led to the development of Citizen Observatories (COs) for environmental monitoring, which has been supported by the European Commission under FP7 and H2020. To improve the coordination between existing COs and related regional, European and International activities, the WeObserve project, an H2020 coordination and Support Action (CSA), will tackle three key challenges that Citizen Observatories face: awareness, acceptability and sustainability. The WeObserve mission is to create a sustainable ecosystem of Citizen Observatories that can systematically address these identified challenges and move citizen science to the mainstream. 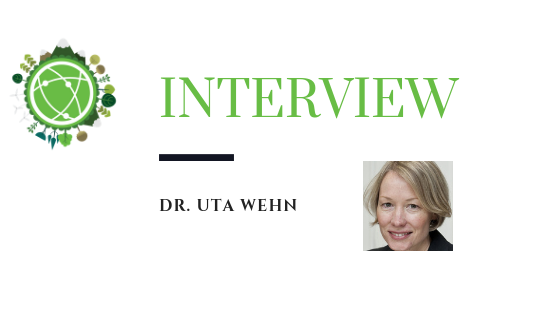 We talked to Dr. Uta Wehn, the leader of the WeObserve Communities of Practice (CoPs) and Associate Professor of Water Innovation Studies in the Integrated Water Systems and Governance Department at IHE Delft. 'I would encourage people to join the CoPs if they are passionate about citizen observatories. A really great discussion is going on about various aspects of launching and implementing citizen observatories that nobody should be missing out on. ', says Dr.Wehn. Dr. Wehn explained that the Communities of Practice are an open initiative to any interested practitioner or citizen observatories, academics. or participants of relevant initiatives, policy makers e.t.c. She highlighted that all participants in the Communities of Practice (CoPs) participate with their professional capacity and jump on board based on their own initiative, as they find it very useful and interesting for their professional and personal development. The current WeObserve Communities of Practice have more than 60 members. Speaking for CoP1 & CoP2 that Dr. Wehn is running, each has about 10 core participants that are very active, taking part in regular teleconferences, sharing knowledge and experience, plus another 10-15 observers. 'Within the Communities of Practice, the participants collaborate eagerly on definitions of terms and also practically, we move forward on sharing experiences on how we can co-design citizen observatories and how to easure their impact. ', says Uta Wehn. This month, at the 2nd International COWM Conference in Venice, Italy, the WeObserve project will launch its 4th Community of Practice, CoP4: UN Sustainable Development Goals and Citizen Observatories. As with the currently running CoPs 1-3, CoP4 will be a vehicle for sharing and consolidating knowledge and best practices on key topics related to Citizen Observatories (COs). In addition to the CoP4 launch, CoPs 1-3 will hold their second forums at the COWM Conference. Below is a description of each of these upcoming CoP events. Launch! 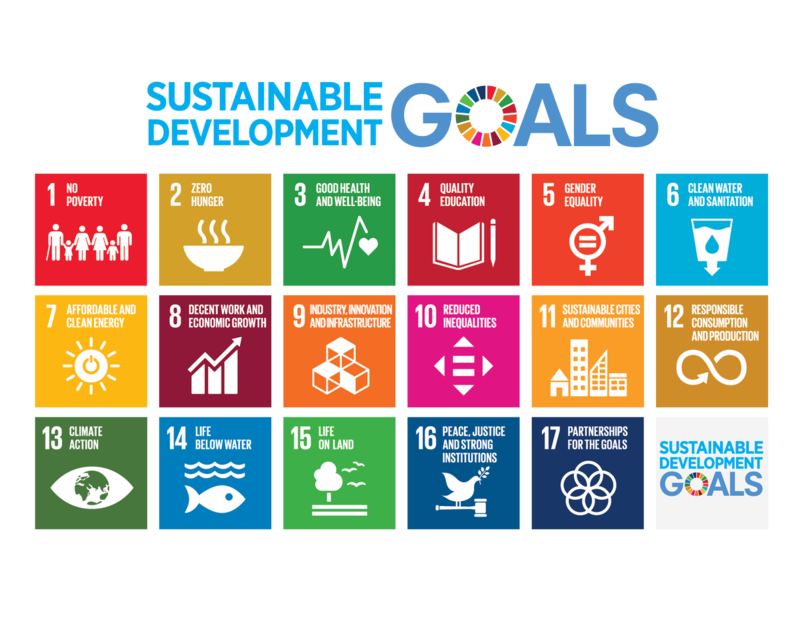 CoP4 UN Sustainable Development Goals and citizen observatories - Tracking progress towards the SDGs requires high-quality, timely and accessible data, often in areas where little or no data currently exists. Traditional data collection means, e.g. household surveys, tend to be costly, biased, and not collected frequently enough to track policy interventions. 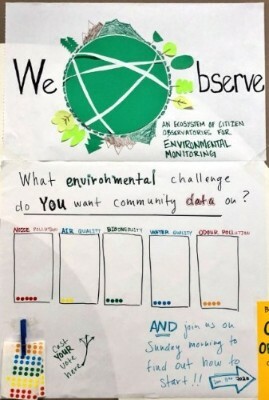 Innovative approaches to data collection using Earth observation and citizen science play an important role in monitoring and implementing the SDGs. CoP4 will bring together stakeholders to discuss the potential and challenges of using data acquired through citizen science in the successful implementation of the SDGs. To get involved, sign up for CoP4 here and register for the launch event here COWM session held on 29 Nov 2018 – 9.30-12.30. Click here to register for the whole COWM Conference, and here to register for individual days to attend the CoP events. If you have questions, please contact Uta Wehn for CoPs 1 and 2, Joan Masó for CoP3 and Steffen Fritz for CoP4. Are you already involved in citizen science and citizen observatory initiatives or Citizen Science working groups? Are you keen to exchange experiences with like-minded Citizen Science enthusiasts? Then, please consider participating in a CoP that represents your area of expertise! The new WeObserve knowledge platform is up and running! Visit www.weobserve.eu today and help us get improved. Join the online discussions, take part in the Communities of Practice, get the latest project's news, collaborate with us on the next steps' configuration, join the online courses and get social with WeObserve! 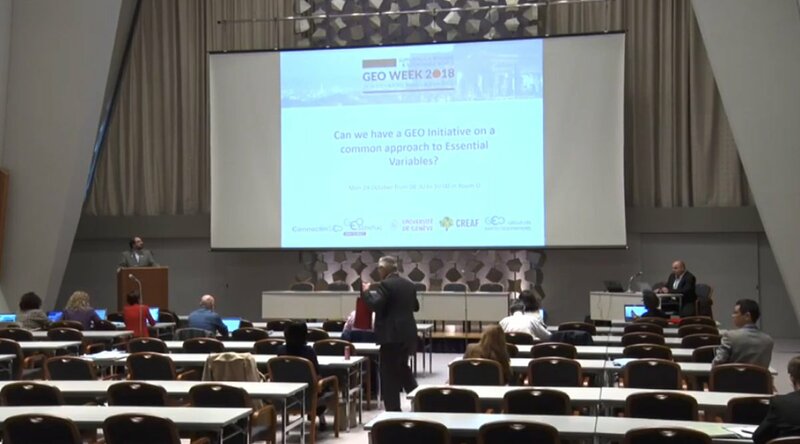 The presence of the WeObserve project was significant at the GEO Annual Meeting (Group on Earth Observatons) which took place in Kyoto, Japan, between 29/10 and 2/11. The Meeting attracted a number of governmental and non-governmental organizations, with the aim of exploring the use of technologies for Earth Observation for the benefit of humanity and focusing on natural disaster management, climate change and sustainability. 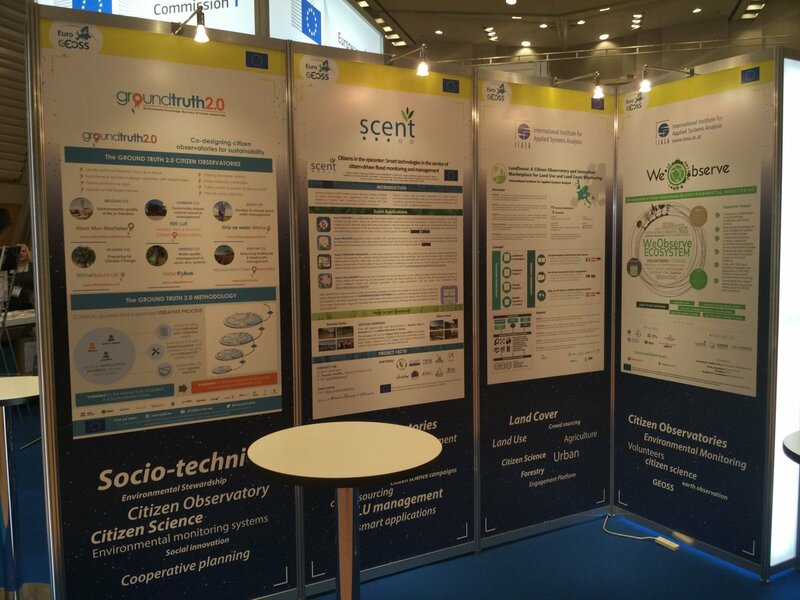 The WeObserve was represented through a poster in the European Commission booth of the GEO annual meeting exhibition. 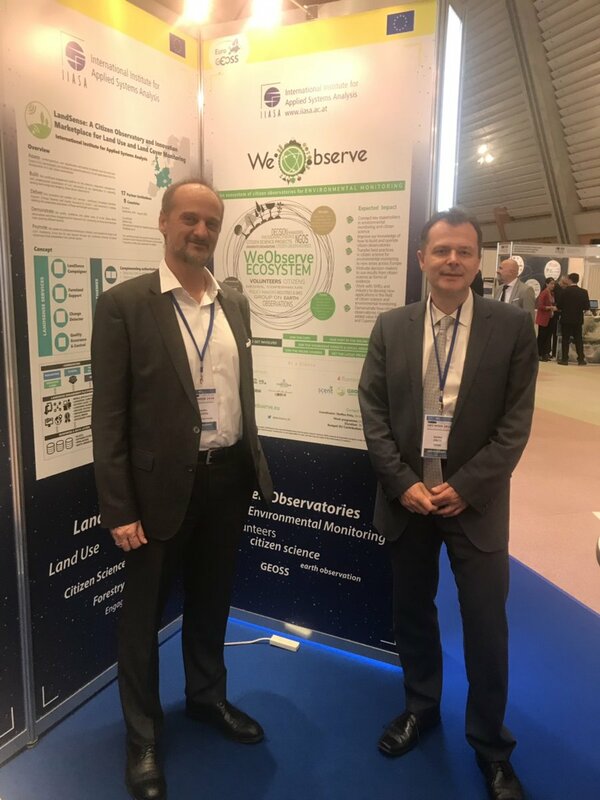 The WeObserve and LandSense coordinator, Dr. Steffen Fritz, from IIASA and the Scent coordinator and WeObserve partner from ICCS, Dr.Angelos Amditis, were there to support the WeObserve effort. WeObserve researchers prepared the GEO Plenary Side Event 'Elevating Citizen Science at GEOSS' that took place in Kyoto, Japan, on 29 of October, aiming to explore the contribution that citizen science can bring to the GEO community and how can citizen science be supported through partnerships and emerging endeavors. The workshop took place in IIASA, which is located in Laxenburg in Austria. The workshop was hosted by the earth observation and citizen science group at IIASA. The workshop focus on the interface between citizen science, earth observation, and traditional data collection methods in the context of monitoring and contributing to the Sustainable Development Goals (SDGs). A contextual/perspective academic paper is an expected output of the workshop, so this post is only a summary of the opening presentations. There is also an overlap with the aim of the WeObserve project and the communities of practice in it. Mozilla’s annual festival at Ravensbourne University in London this past October (affectionately known as MozFest), brought together 2,500 attendees over the course of the 3 days, from more than 50 countries, to participate in more than 300 workshop sessions exploring topics such as openness, privacy & security, decentralisation, and web literacy. Photos taken at the event can be found on Flickr. The session was led by Margaret Gold from the European Citizen Science Association (ECSA), Saskia Coulson, and Mel Woods both from the University of Dundee. 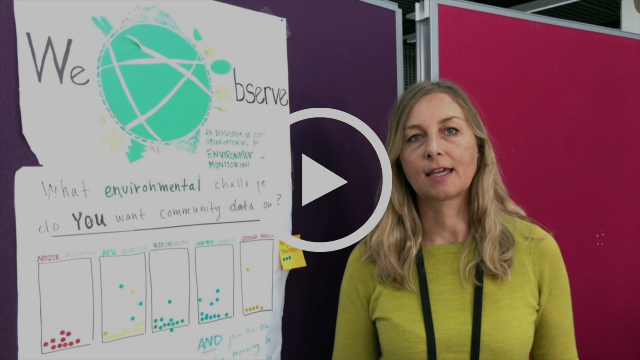 Watch the WeObserve partners talking about building your own Citizen Observatory within the MozFest. 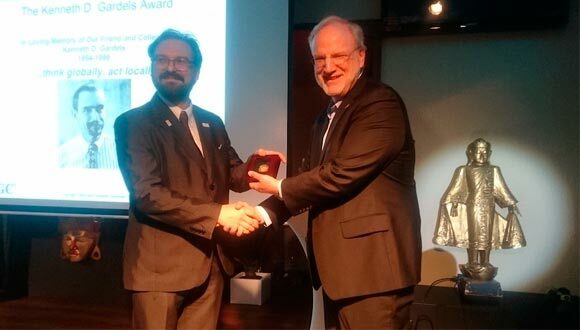 At the meeting of the Open Geospatial Consortium (OGC) Technical Committee which was held on September, in Stuttgart, Germany, Joan Masó received the OGC’s prestigious Kenneth D. Gardels Award. The Gardels Award is presented each year to an individual who has made an outstanding contribution to advancing OGC’s vision of fully integrating geospatial information into the world’s information systems. 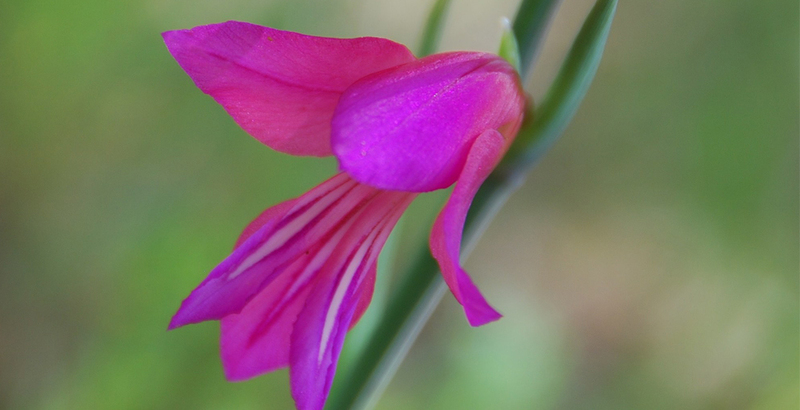 Citizen Science has emerged as a new way of supporting researchers in their tasks of collecting, transcribing or interpreting data within their scientific work. This kind of support is not new in some fields such as natural observation and environmental monitoring. What has changed recently and thus allowed for a big phenomenon known as Citizen Science, is the wide use of new technologies such as internet and smartphones, to manage citizen contributions. WeObserve participates in the Common Dissemination Booster, a service managed by the European Commission to encourage projects to come together as groups, to identify a common portfolio of results and to better disseminate to end-users with an eye on exploitation opportunities. Together with the COS Landsense, Scent, Ground Truth 2.0 and GROW, we share our dissemination expertise, we work together towards goal fulfillment, we find synergies, bring together results to be commonly disseminated under the EU's H2020 programme. If you don't still want to receive the WeObserve newsletter, you can unsubscribe from this list. Research and Innovation Programme, under Grant Agreement NO 776740.